This ladies coat is something that attracts the attention at the very first sight on an immediate basis. It has been made with the leather material offering a choice of two different leather materials, genuine leather as well as faux leather. 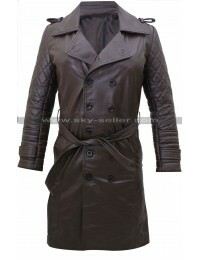 This long jacket has a camel brown color which appears very attractive. 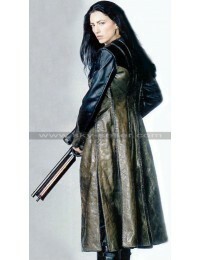 The coat style features a knee length and there are full sleeves provided for. The front side of the coat has a zip closure and it has been finished with the perfect piping as well. There are four pockets given on this coat and two of them are zipped whereas two of them are provided on the waistline. This Motorcycle coat has an inner viscose material.